In house services include cutting & slitting, belt vulcanization, splice preparation, fastener installation, rubber chute fabrication, gasket punching, and belt punching for fasteners, elevator buckets, chain attachments, vacuum and dewatering applications. 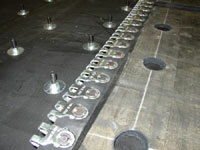 Looking for the BEST splice crew to install and service your conveyor belts? 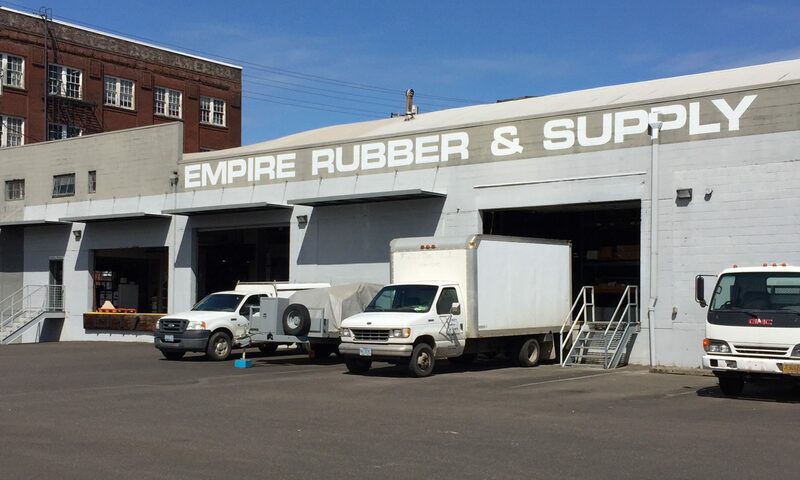 Look no further than Empire Rubber & Supply! With mobile splice crews and 30+ presses, you’ll be sure to get the service and response time you’re looking for. In addition to punching belt for elevator buckets, dewatering holes, and vacuum holes, Empire Rubber can punch gaskets & patterns to your specifications. Empire has been splicing belts for over 50 years across 8 western states, including Alaska & Hawaii. From 1″ thick 2/1500 Usflex for the Aggregate industry to 1/16″ thick FDA belts for the food processing industry, Empire has vulcanized them all. 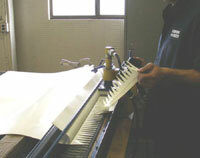 Empire Rubber also offers Lining & Lagging field services for chutes, hoppers, drums, & rollers. Empire Rubber & Supply is the only local provider to have the capabilities and trained personnel to splice your Thermodrive and Volta belting with cleats and sidewalls in our shop or on your location. With our dual axle trailer mounted Rewind, Empire Rubber and Supply has the ability to rewind old conveyor belt up to 72″ wide and 500’ft long. Diesel powered making it self-sufficient. A method of fusing cleat, v-guide, and vanner edge to PVC conveyor belt using heat & pressure in a way that maximizes bond strength while eliminating curl/distortion of the base belt. The UNIWELD process has defined and lead the standard in non-rf PVC fusion. Recessed installation of belt fasteners like the Flexco 550 bolt hinge lace shown and countersunk elevator bolts are available. Empire Rubber can perforate your belt to any pattern you choose. Call on Empire Rubber & Supply today for all your belt fabrication needs!